The animal is vulnerable to hotter summer temperatures. The region north of Lake Tahoe, California used to provide the perfect habitat for a cute, rabbit-like critter called a pika. But not anymore. That’s Joseph Stewart at the University of California-Santa Cruz. For the last several years, he’s searched a 64 square mile area, looking for signs of Pikas and finding none. He says global warming is to blame. Pikas are adapted for the cold, with high metabolisms and thick fur covering them from the bottoms of their feet to the insides of their ears. 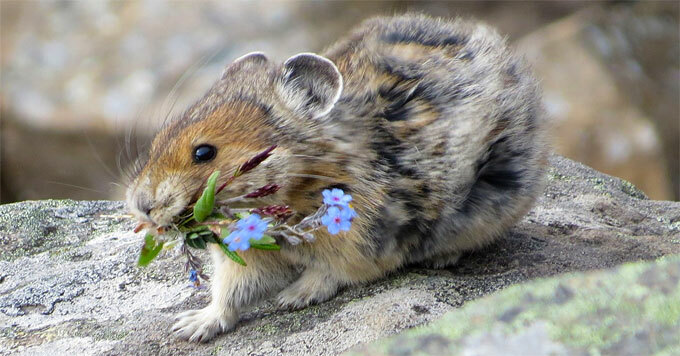 So as summers get warmer, pikas spend more time hiding underground to escape the heat and less time foraging for the food that keeps them alive through the winter. He says the disappearance of pikas in this area is just one example of how climate change threatens wildlife.